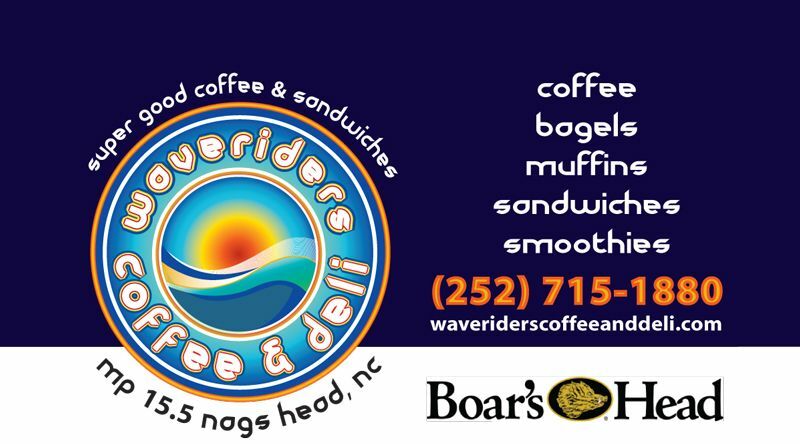 Waveriders Coffee & Deli wanted to offer the locals of the Outer Banks a discount. 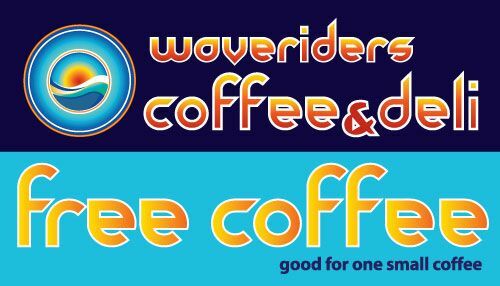 A business card sized coupon card used to count the number of coffees or sandwiches purchased in order to earn a free one. 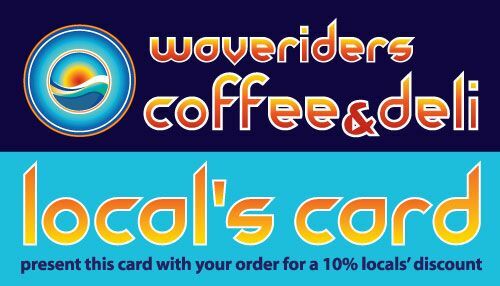 The card has little symbols that can be hole punched out to count the purchases.